Head down to Pooh Corner and you just might find Pooh Bear! From the beloved classic Winnie the Pooh, all of Christopher Robin's pals would like to keep you company. 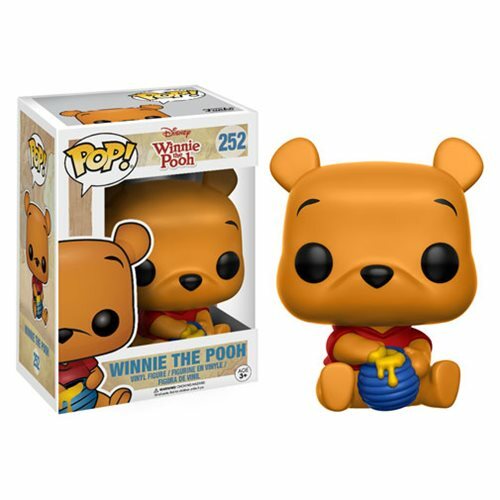 Packaged in a window display box, the Winnie the Pooh Seated Pooh Pop! Vinyl Figure measures approximately 3 3/4-inches tall. Ages 3 and up.